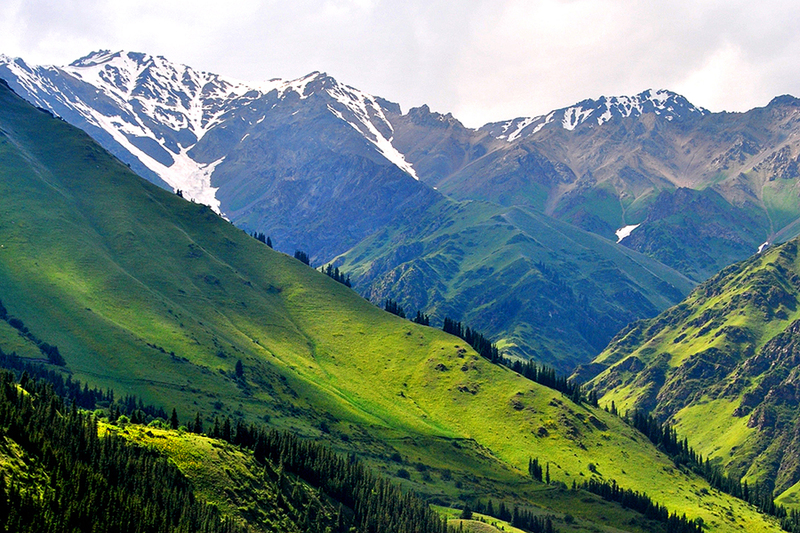 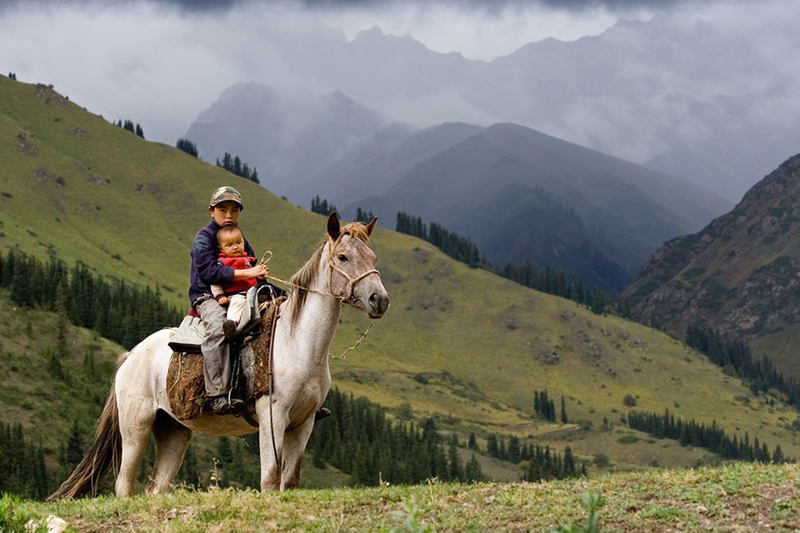 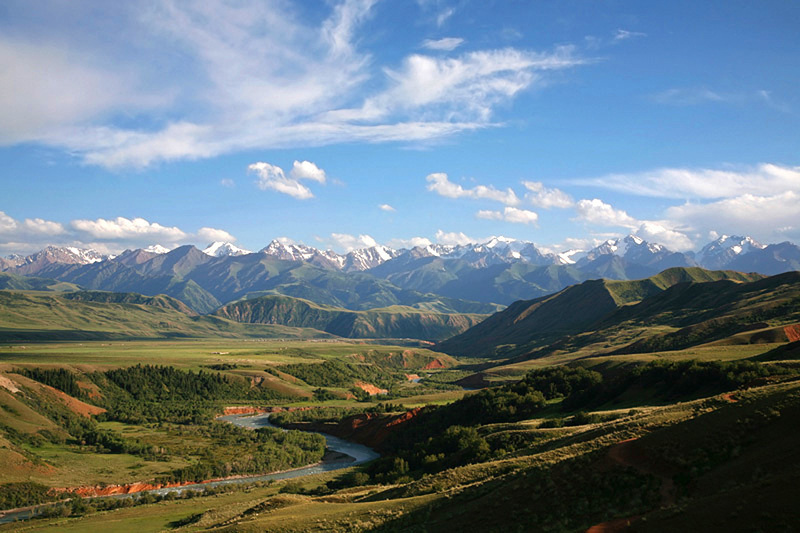 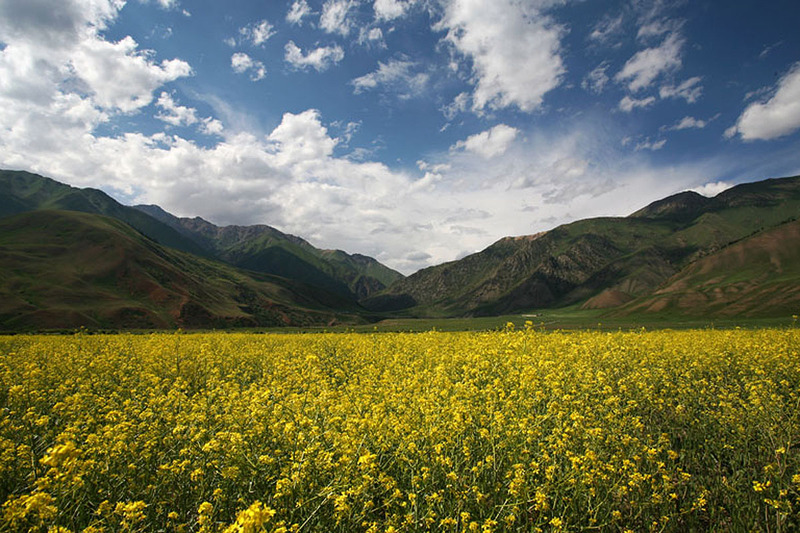 The name of the valley Eki Naryn translated from Kyrgyz language means "Two Naryn." 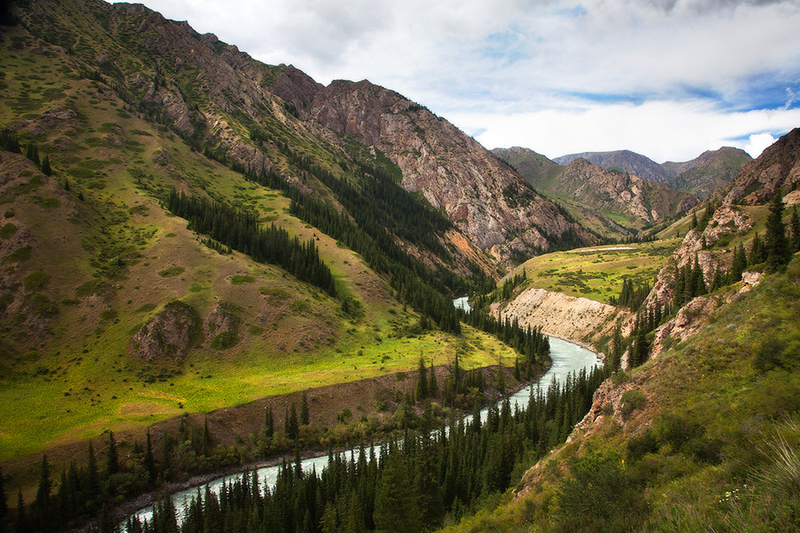 It is located in a place, 44 km from the town of Naryn, where merge large and small tributaries of the most powerful river Naryn. 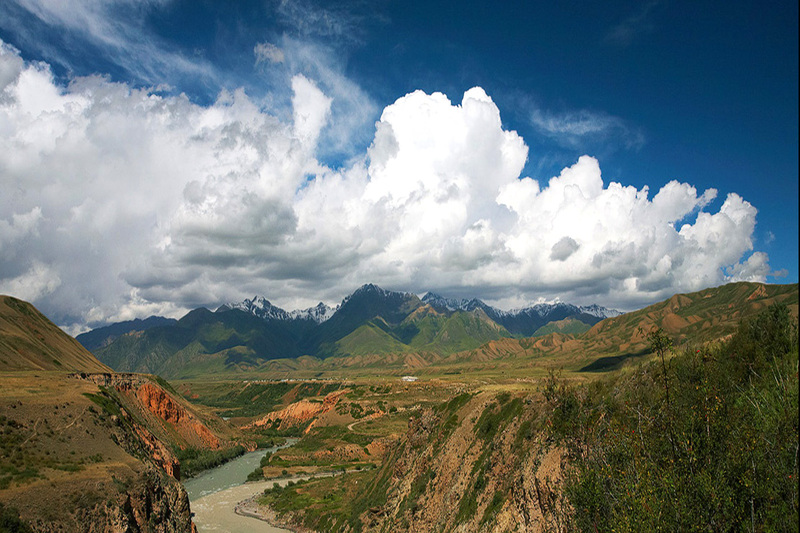 The valley is situated at the altitude of over 2000 m. There formed the national park, where grow tall pine forests, live bears, wild boar, mountain goats and snow leopards. 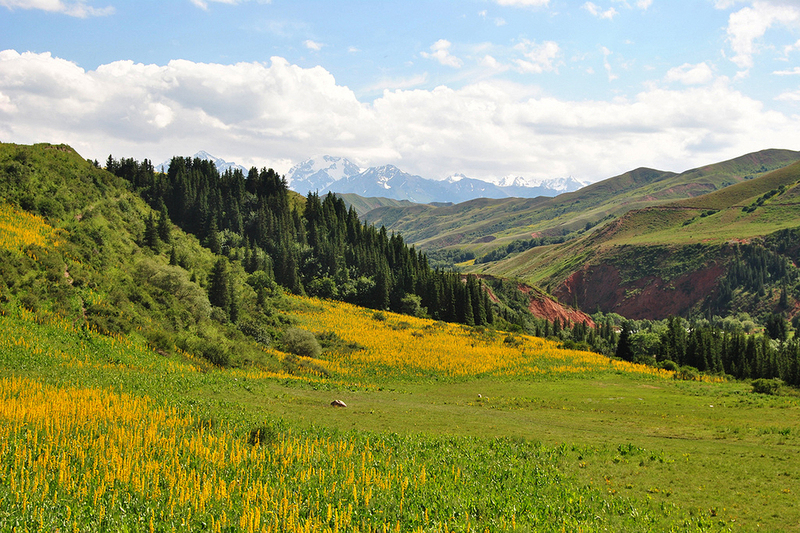 Near the valley there is a settlement which is also called Eki-Naryn.